Tartous, Syria, 3 April 2014 – A UNICEF-supported programme in Tartous governorate, run by local charity partner Al Batoul, aims to reach more than 2,700 conflict-affected young people with health awareness, psychosocial and social skills. As well as two youth centres in locations with high numbers of displaced families, the programme includes outreach activities at shelters in the area and helps to build young people’s resilience, as well as encouraging community participation. Thora, 18, took part in the programme at the shelter where she now lives with her family after fleeing Aleppo. She studies at the shelter with the help of volunteers as there is no space for her in local schools, and she enjoys the drawing activities. “Drawing helps to express my emotions,” she says. The six-month programme, which started earlier this year, will also support families and youth workers, for example in dealing with the psychological and social needs of young people. “The project helps to empower adolescents through life skills, making them more determined to continue their formal education and opening up opportunities for informal education. It supports them to face day-to-day challenges,” says Mohamad Kanawati, Adolescents’ Development and Participation project officer with UNICEF Syria. There are an estimated 900,000 people in need in Tartous governorate, with close to 570,000 having been displaced from their homes, largely from Aleppo, Homs, and Hama governorates. While around 12,000 displaced people live in shelters in and around the city – set up in public buildings and outdoor spaces – most children and families live in the host community, such as with friends and family, or in rented accommodation. 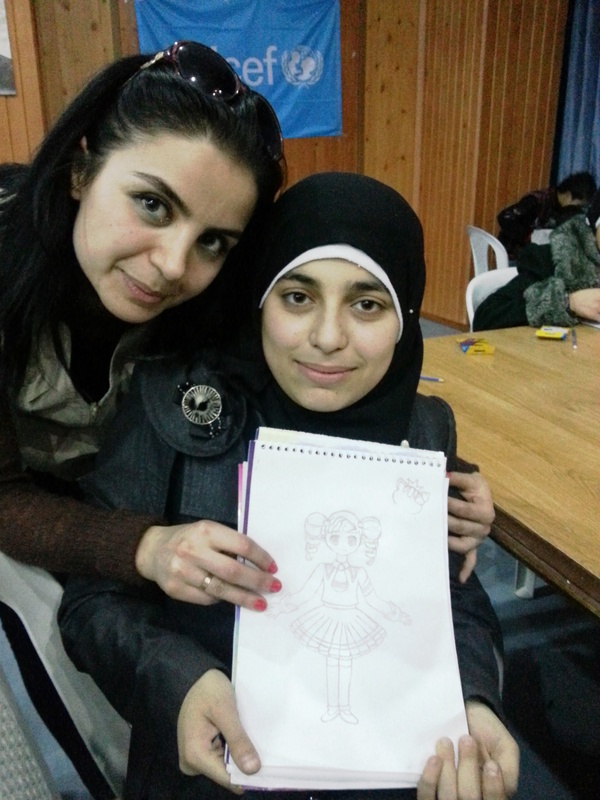 As well as the Tartous programme, we’re supporting similar adolescent programmes in other parts of Syria.